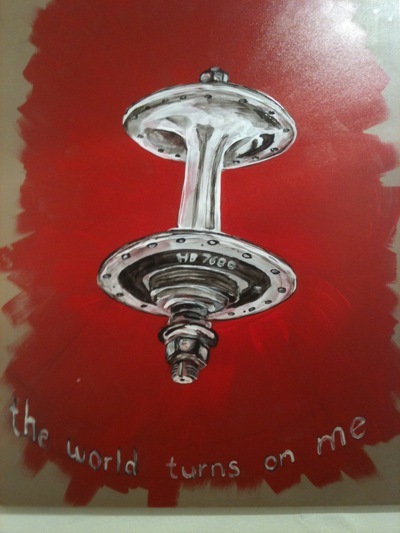 The most beautiful bike part in my mind has always been the high-flange Dura Ace track hub. This is a painting I did a while back. To me, art that is focused squarely at a bicycle is limited in its appeal, but art that uses a bicycle to communicate something else can go a lot further. Like how the movie Breaking Away isn’t really about a bike race.